The New York Film Festival unveiled a major addition to its Main Slate Tuesday with the news of an anticipated documentary that offers an inside look at one of the most controversial figures making headlines today. 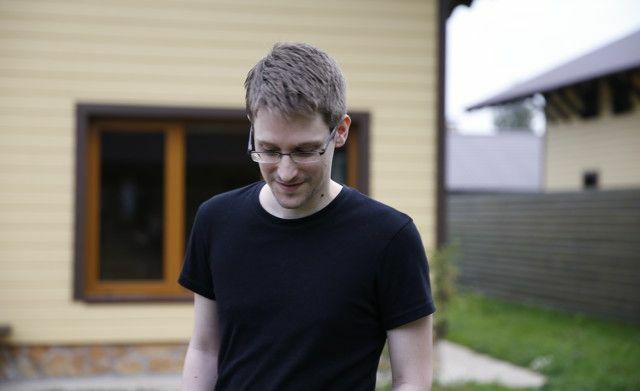 The Film Society of Lincoln Center announced that CITIZENFOUR, the new documentary by Oscar-nominated filmmaker Laura Poitras, will have its world premiere on Friday, October 10 at 6pm, screening as a Special Presentation at Alice Tully Hall. Tickets are available online (no mobile devices), at the Alice Tully Hall box office, and via CenterCharge. For more information about buying tickets to NYFF52, click here. In addition, Poitras will participate in a free HBO Directors Dialogue on Saturday, October 11 at 4pm at the Walter Reade Theater. The event will be open to the public with tickets distributed one hour before the talk. The third installment of a trilogy of nonfiction films that look at the post-9/11 era, CITIZENFOUR is set amid the recent revelation of a labyrinth of secret surveillance by the National Security Administration (NSA) within the U.S. and beyond. In association with Participant Media and HBO Documentary Films, RADiUS will release the film in the U.S. on October 24, 2014. 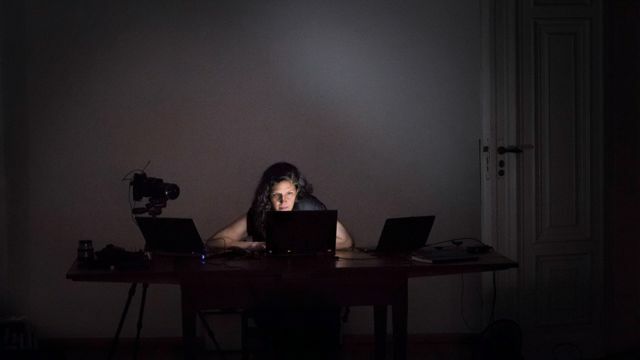 In January 2013, filmmaker Laura Poitras was several years into the making of a film about abuses of national security in post-9/11 America when she started receiving encrypted e-mails from someone identifying himself as “citizen four,” who was ready to blow the whistle on the massive covert surveillance programs run by the NSA and other intelligence agencies. Five months later, she and reporter Glenn Greenwald flew to Hong Kong for the first of many meetings with the man who turned out to be Edward Snowden. She brought her camera with her. The film that resulted from this series of tense encounters is absolutely sui generis in the history of cinema: a 100% real-life thriller unfolding minute by minute on screen. While working on her earlier films, Poitras was classified as a threat by the U.S. government and detained numerous times at airports both at home and abroad. The Film Society of Lincoln Center has long been a supporter of Laura Poitras’s work, premiering several of her films throughout the years and honoring her as the 2011 recipient of the 25th anniversary Martin E. Segal Award, given annually to two rising young artists in recognition of exceptional accomplishments. CITIZENFOUR marks the final film in her 9/11 trilogy. The first film, My Country, My Country focused on the Iraq War and had its New York premiere in 2006 at the Film Society’s New Directors/New Films series. My Country, My Country was nominated for an Academy Award, an Independent Spirit Award, and an Emmy Award. The second installment in the trilogy, The Oath, was about Guantánamo and also received its New York premiere at New Directors/New Films, in 2010. The Oath won the Sundance Cinematography Award, the Edinburgh Film Festival Documentary Jury Award, and a Gotham Award for Best Documentary. Poitras has taught filmmaking at Duke and Yale Universities, and in 2012, her work was selected for the 2012 Whitney Biennial. She is also the recipient of a 2012 MacArthur Fellowship. Her NSA reporting contributed to a Pulitzer Prize awarded to The Guardian and The Washington Post. Along with Glenn Greenwald and Jeremy Scahill, she is co-founder of the digital magazine The Intercept. In an extensive profile of Poitras last year in The New York Times Magazine, Edward Snowden explained why he reached out to Poitras and Greenwald to reveal the NSA&apos;s surveillance program.